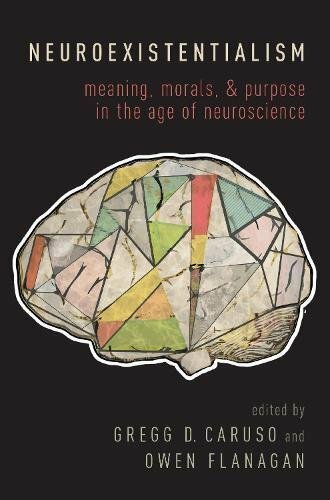 In Neuroexistentialism: Meaning, Morals and Purpose in the Age of Neuroscience, editors Gregg D. Caruso and Owen Flanagan bring together a wide variety of writings from academics across the fields of philosophy and neuroscience. The perspectives are diverse and an essay often contrasts the one preceding it, making for a stimulating discursive reading, whilst developing the key themes such as responsibility and freedom in relation to the brain activity thoroughly enough that it would appeal to postgraduate and academic audiences. In the introduction, Caruso and Flanagan situate the book within the existentialist tradition. That is, central to the discussion is the free self-choosing of the human agent, or 'a central preoccupation with human purpose and meaning accompanied by the anxiety that there is none' (p. 2). Neuroexistentialism, they explain, is the third wave of this discussion. It differs from the first two waves that primarily explored the anxiety and human angst generated over misplaced optimism in the institutionalism and the rational idealism of the Enlightenment project. While giving definitions of the notoriously broad existentialist framework can be difficult, the editors manage to point to the main challenges and thinkers in a clear and cohesive manner. Neuroexistentialism thus comes as a contemporary response to understanding the human being living in the world in light of the scientific advancements of the study of the brain. The search for meaning therefore becomes the scientific reading of what the brain can say about us. To explore this further, the editors have grouped the book into four parts. It took a bit of time to understand exactly why the specific classifications were used, as there was some overlapping in sections, but once in the chapter, there was a conversational flow that developed between the themes that lent itself well to the discussion. 'Part I: Morality, Love and Emotion' examines the interplay between the brain's understanding of love and the development of moral systems. For instance, Maureen Sie looks at the interaction between how the brain biologically experiences attachment and love and connects it to similar characteristics found in morality. In 'Part II: Autonomy, Consciousness and the Self', the authors develop a discourse around free will and the relationally authentic subject. Neil Levy paints a challenging but fascinating and not altogether hopeless account of meaninglessness and existential freedom, and questions how much we actually can choose when it comes to our lives. This position is developed and contested by various writers later in the book. 'Part III: Free Will, Moral Responsibility and Meaning in Life' explores different accounts of compatibilism and scepticism. What this book, and indeed this section, does particularly well is introduces the reader to a variety of perspectives that, while I would not find myself defending in my own research, I found thought provoking and necessary to consider. The final section, 'Part IV: Neuroscience and the Law' brings the conversations of responsibility and freedom through the lens of neuroscience into conversation with the law. Framed through discourses on justice, blame and victimisation, these chapters developed a robust engagement that critiques simple applications of neurobiology and suggests that engaged and critical multi-dimensional accounts are necessary in order to understand how the brain engages with legal decision-making processes. Valerie Hardcastle illustrates this challenge particularly well when she writes that 'from the point of view of science, there remains troubling inconsistencies' in excusing criminal behaviour through appealing to brain data (p. 326). Caruso and Flanagan's edited collection Neuroexistentialism provides a carefully considered selection of writings that discuss a broad range of themes pertaining to a contemporary discourse that is both fascinating, thought provoking and complex.